She's Fantastic: Batman Beyond's INQUE! 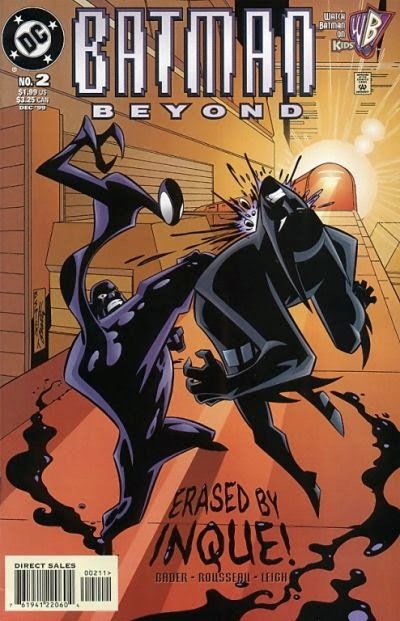 Batman Beyond was very cool series. It had a fun premise, fantastic character design, and an overall tone that was a nice change from its animated predecessors. My only issue with it was a lack of strong female characters. Inque was hands down the greatest part of the show for me. 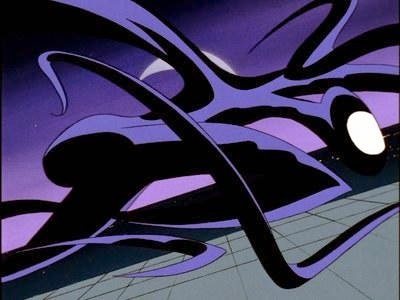 She was a shapeshifting, relentless femme fatale who proved to be more of a threat than most of Terry's other rogues. It's a true shame that we didn't see more toys of these characters back in the day. This Burger King Kids Meal toy is pretty cool. 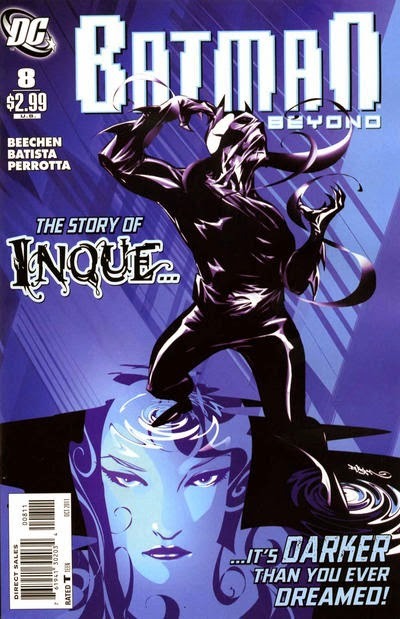 I normally despise bendies, but with Inque's powers, it totally makes sense. She's a good size to blend in with other figures and her sculpt is surprisingly great. This figure also has an awesome, but very annoying, feature of color-changing skin. It's supposed to turn really dark, but it kind of just gets a dark tint. Plus, to expose her normal skintone for this review I had to keep submerging her in ice. This figure is also a keychain and subsequently has a plastic gadget coming off her head. I'll be sure to Xacto that off soon. Let's check out Inque below! Polybags are never much to look at of course. Inque is made of a stiff rubber. I didn't even try bending her because I'm afraid it will make the purple of her costume come off. But I expected her to be flimsy and insubstantial, which she's totally not. Below I was trying to show her skin changing effects. she actually gets much darker than these images show. 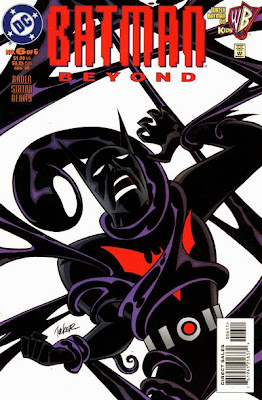 Inque has had 5 appearances (out of the 52 Batman Beyond episodes - not to shabby for a franchise known for a heavy rotation of bad guys), plus several appearances in comic book form. Here's a little taste of Inque in action. Spent a while on Youtube yesterday learning about Inque after reading your article. Very awesome character! And I'm totally going to try & get this little bendy of her too. As you said, cut the keychain thing off & she will look great. Might be a bit tall, but she should fit in well enough with my BTAS figures. Isn't she cool? There's nothing like an undiscovered villainess. I'm actually looking forward to picking up some of the comics to see if we get more of a back story on her.